Hermanson Endondontics LLC is a dental practice that specializes in the diagnosis and treatment of root canal related disease. We are located in Pierre, South Dakota and began serving the residents of central South Dakota in September of 2017. Since its introduction to endodontics the dental operating microscope has greatly improved our ability to treat complex root canal systems. Our microscopes offer the highest quality optics with six levels of magnification ranging from 2x to 19x. 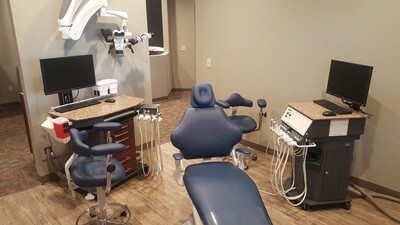 It is also equipped with a co-observation binocular the providing the assistants the ability to see directly what the endodontist sees and allows for more efficient treatment. A digital-SLR camera is integrated to take high resolution photographs so you can see what we see when discussing treatment. This combined with the bright LED light source allows us to treat the entire root canal system without removing excess tooth structure with the goal of improving the longevity of the tooth. It is a 3-Dimensional x-ray limited to the specific area of need which minimizes the exposure to radiation while providing highly valuable diagnostic information. 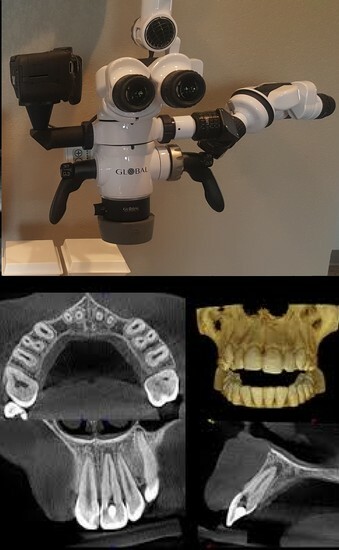 It enhances our ability to view complex anatomy and pathology that cannot be visualized with traditional x-ray techniques. We are then able to treatment plan more effectively and provide you with as much information as possible for you to make the best decision for your treatment.